The City of Glendale is a full-service city in Los Angeles County, California with a population of 200,859 making it the third largest city in Los Angeles County and the seventeenth largest city in the state of California. It lies at the eastern end of the San Fernando Valley, is bisected by the Verdugo Mountains, and is a suburb in the Greater Los Angeles Area. 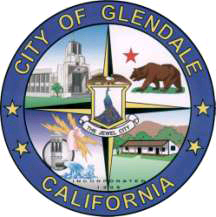 The city is policed by the Glendale Police Department. Glendale is famous for having helped father in conjunction with Burbank the emerging age of aviation, with its now defunct Grand Central Airport. With over 20,000 alarm permits, Glendale has a real need to efficiently handle the many residential & business permits and their various rate structures. The city has standardized on Microsoft® technology including Windows,® SQL Server and Office. PSI software incorporates Microsoft® stan­dards to ensure reliable, robust and progressively improving software. did not have features for late fees, tiered billing or ways to sort and match information. Inefficiencies of the systems resulted in addi­tional labor and missed revenue opportunities. This led the city to search for a full featured software application that could integrate with their general ledger package, provide flexible ad hoc reporting and offer the efficient means to notify and track individual account activity. No other vendor customer references ap­proached the high level of satisfaction voiced by PSI AlarmTrack™ customers. AlarmTrack,™ the alarm per­mitting system from Progressive Solutions® has enabled the City to automate their false alarm billing by obtaining false alarm data directly from the Tiburon police computer aided dispatch system. Where previously false alarm billing required 24 staff labor hours to get out, now in 20 minutes the deed is done. The AlarmTrack™ package enables the city to obtain answers and make operating changes without programming or additional cost. Upgrades and minimal report customizations are included in the annual support fee so that ad hoc re­quire­ments do not require additional mid year budgeting. Progressive Solutions,® developer of the QuickServe,™ brings heightened security, effi­ciency and convenience to users. Progressive Solutions® has incorporated next generation hardware and software technology enabling marketready governmental enterprise solu­tions. Based in Brea, California, the company distributes their product through an extensive network of VAR and reseller channels and has entered into strategic partnerships.